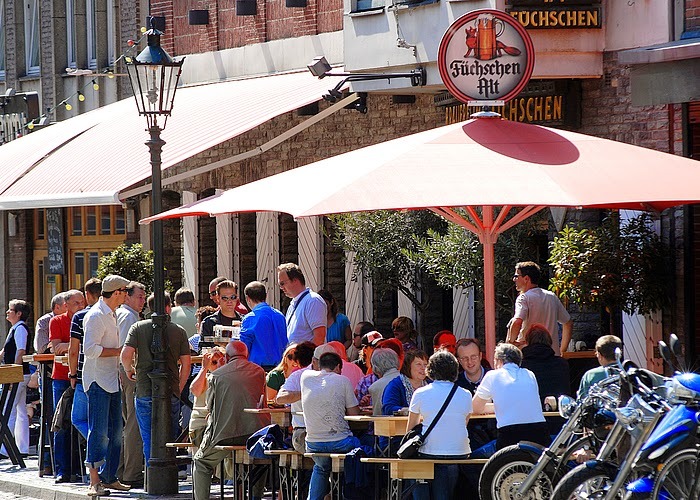 Dusseldorf might not leap to mind as a city break destination but it has a lot going for it. It has excellent galleries and museums - and boasts the "longest bar in the world" where dozens of pubs with their own micro breweries - and mostly serving succulent Schweinehaxen (pork knuckles), compete for custom. BMI Regional has just launched flights to the German city from Bristol. The airline is operating six round times a week (Sunday - Friday). And Flybe has started flying to Dusseldorf from Cardiff. It's operating only on Saturdays until the end of August. From August 31 there will be four round trips a week. Among Dusseldorf's attractions are the superb Nordrhein-Westfalen art gallery, with works by artists including Picasso, Matisse and a huge array of paintings and drawings by Paul Klee, a highly regarded film museum, a wonderful glass collection at the Kunstpalast Museum - and there simpler pleasures of strolling by or boating on the Rhine. BMi Regional has also launched services from Bristol to Paris - a much more obvious city break choice - operating two round trips a day on weekdays on one on Sundays.